So we got the chance to attend Veerey Di wedding movie promotions in captial. I am sure you are also very excited to watch this upcoming female buddy comedy flick which is going to realse on 1st of June. 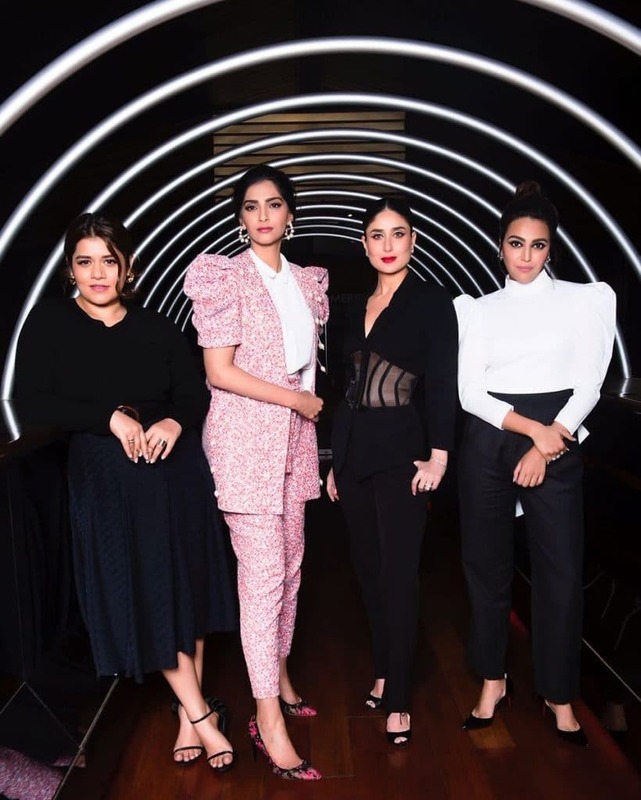 The four leads Kareena Kapoor Khan, Sonam Kapoor, Swara Bhaskar and Shikha Talsania were there in the event. While interacting with journalists, all four ladies shared their experiences as well also reveals details about the movie. As Bebo is portraying Kalindi, Sonam will be seen as Avni, Shikha as Meera and Swara is Sakshi. The film is set against the backdrop of Delhi, where the girls are born and brought up, their trials and tribulations in modern day world, regarding family acceptance, marriage & societal perceptions. 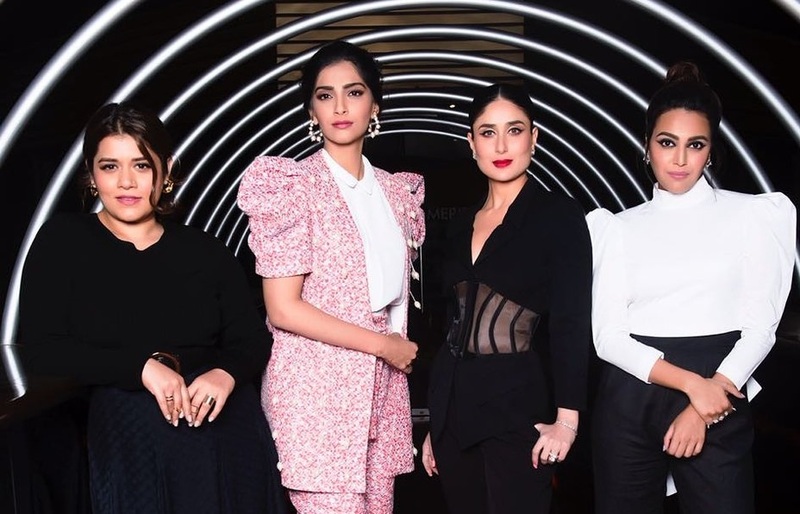 Sonam said, “We girls from Delhi and Mumbai, we locally talk like this, I didn’t think about the language, I just loved the script and said yes, I thought it will be fun working for this movie and it actually happened, we had a great time together.” Talking about the main four female leads in one film, Sonam added, “I think this movie too much relates to a simple life.